Coaster COA-5002-3 Director Leather Theater Sectional - Director theater sectional from Coaster is sure to enhance any home theater experience. 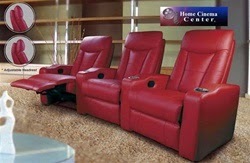 The Sienna Home Theater Seating by SeatCraft is a smaller scale seat with full size features. An LED lighting package is standard including lighted cupholder and base rail lighting. 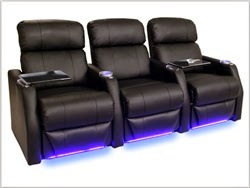 The Bardi Home Theater Seating Collection features thick padding for head and back, as well as wide armrest for reclining comfort. Storage consoles and storage drawers in the loveseat will save space in your living room or home theater. The Doria Collection features sleek contemporary style. The overstuffed cushions are very comfortable. The light beige color of the upholstery enhanced with tufted back makes the collection visually attractive. 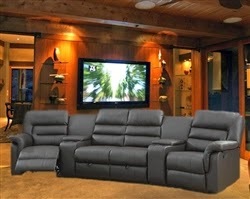 Bring style and convenience to your home with this reclining sectional! Winter theatre is a good idea. But I prefer to be home and warm up somebody. Warm bed, warm human being and hot kisses. But if you don't have somebody to warm up, just use cams loveaholics to feel really hot every single day.